Can Mutual Funds help create wealth? Business and commerce allows us to create wealth by investing our money with those who are on the path to creating wealth. We can be investors in businesses of entrepreneurs, by investing in stocks of various companies. As the entrepreneurs and the managers run their businesses efficiently and profitably, the shareholders get the benefits. 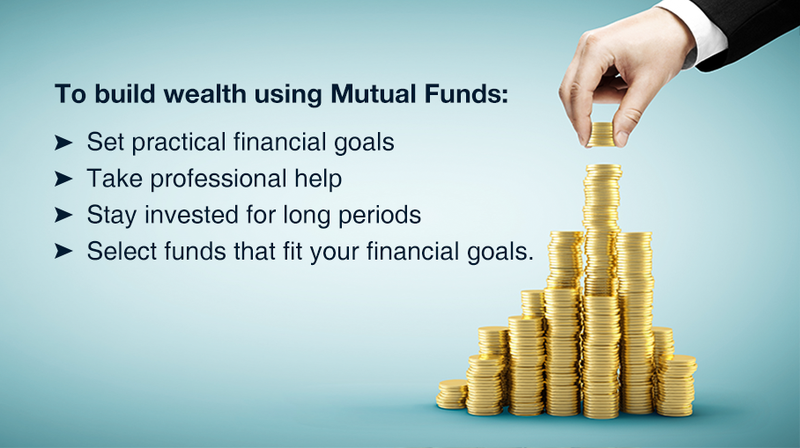 In this regard, Mutual Funds are a great way to build wealth. But how do we know which stocks to buy, and when? That is where taking professional help counts. They also take the advantage of a large corpus to explore more opportunities simultaneously. Like a balanced diet – we all need proteins, vitamins, carbohydrates, etc. Eating only one type results in some nutrient deficiency. Similarly, in a diversified equity fund you’re exposed to different segments of the economy, and also protected from the potential downside. Invest in a professionally managed, diversified equity fund and stay invested for long period to create wealth for yourself and your next generation. What is the ideal amount to start investing in a mutual fund?